My experience with Mike Santos was an awesome journey!!! Mike guided me every step of the way, and was with me from the time I wasn’t ready until I received the “clear to close”!!! As my first time making such a huge purchase, communication and guidance was awesome every step of the way! I appreciate him and his team for a smooth transaction. This is not a commitment to make a loan. Loans are subject to borrower and property qualifications. Contact loan officer listed for an accurate, personalized quote. Interest rates and program guidelines are subject to change without notice. MLB Residential Lending is an Equal Housing Lender. Michael Santos is not licensed in NY and this site is not intended for NY loans. 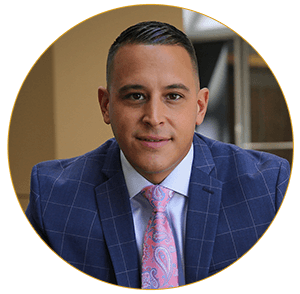 Michael Santos NMLS #199875 • MLB Residential Lending, LLC. NMLS# 1101220. Michael originates NJ loans only. MLB Residential Lending, LLC. is located at 51 Commerce Street, Springfield, NJ 07081, 732.243.0140. MLB Residential Lending, LLC. NMLS#: 1101220 is a residential lender, licensed by the NJ Department of Banking and Insurance; licensed by the PA Department of Banking and Securities; licensed by the CT Department of Banking; licensed by the DE Dept. of the Banking Commissioner; and is licensed under the FL Mortgage Lender Service License # MLD1128. All rates are subject to change without notice. MLB in no way, claims to represent or to conduct business on behalf of HUD, the FHA or the Federal Government. This site is not authorized by the New York State Department of Financial Services. THIS SITE IS INTENDED ONLY FOR NJ CONSUMERS.